Terror attack foiled when IDF forces nabbed four armed Arabs who crossed into Israel from Gaza Strip. 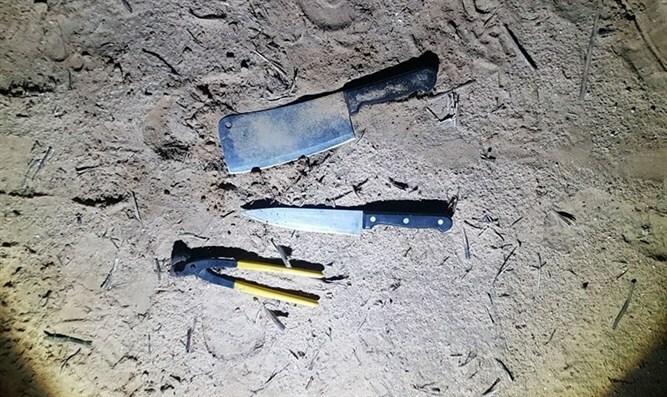 Four armed Arab terrorists were captured Thursday evening after they crossed the frontier into Israel from the Hamas-ruled Gaza Strip. Israeli security personnel nabbed the four terrorists after the managed to penetrate the security fence along the Israel-Gaza border. According to the IDF, the four terrorists were spotted when they approached the security fence and were apprehended shortly after they managed to cross the frontier.